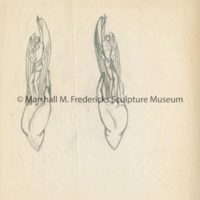 Sketch of unicorn and possible sketch for "Wings of the Morning". 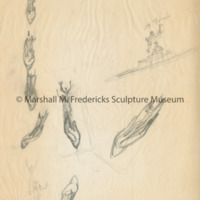 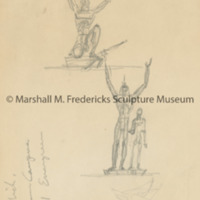 Sketches for "Black Elk: Homage to the Great Spirit"
Originally created to support the Tower of the Four Winds, Black Elk Neihardt Park, Blair, Nebraska. 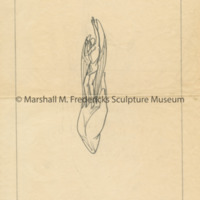 The Peace Pipe points from the Heart of Man to the Heart of God. 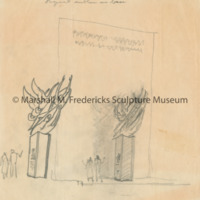 Black Elk prays through tears, "Oh, make my people live." 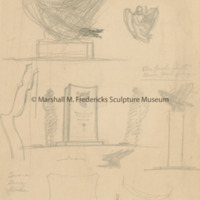 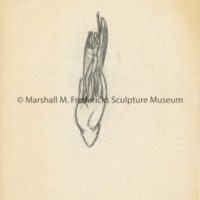 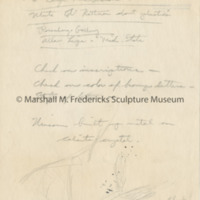 Drawing also includes sketch for "Wings of the Morning". 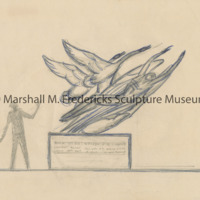 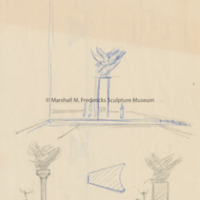 Sketch for "Wings of the Morning"
Sketches for "Wings of the Morning"